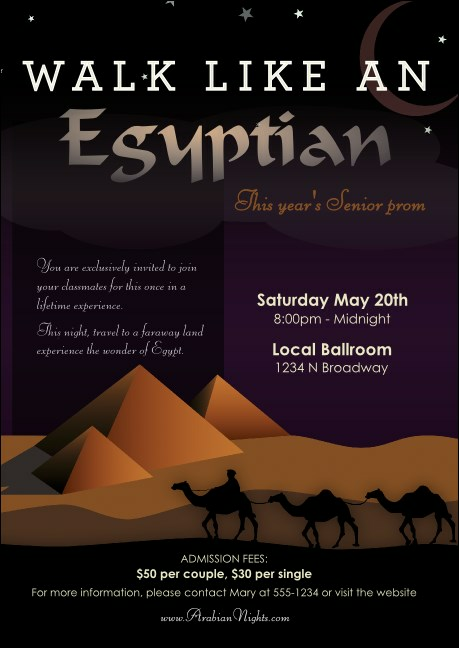 Add to your attendance when you send or distribute the Egyptian Postcard in advance. A big night sky covers a caravan passing through the desert on this haunting design. Enter your event details in the template and we'll ship them your way. Send to potential guests or leave with supporting businesses. You don't need hieroglyphics to send a great message from TicketPrinting.com.